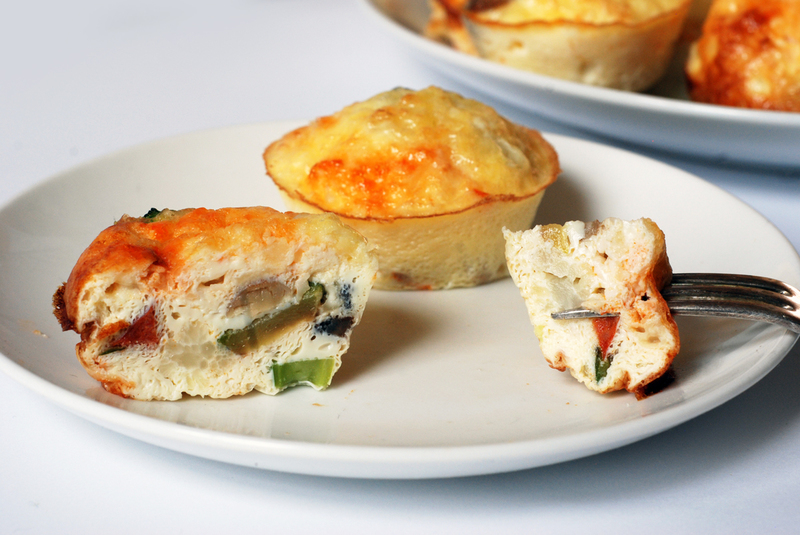 Low-carb breakfast recipes are always in high demand with beginners. As traditional Western breakfasts tend to be full of carbs, it can take a while to adjust to breakfasts without any bread or cereal. 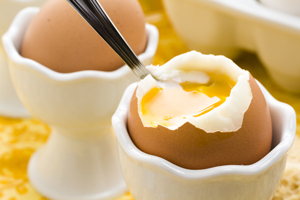 Eggs in all forms, including omelettes, are an obvious choice. 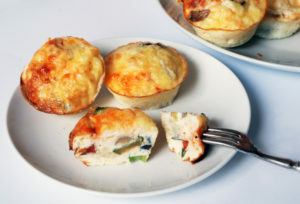 This recipe features mini-omelettes baked in the oven. This mini format allows you to make a batch and store them away in the fridge. They taste quite nice cold, or can be reheated in the microwave. For each serving: 130 cal, 2g net carbs, 10g protein, 10g fat. I add extra eggs and cottage cheese and make 24, then we have breakfast for several days!